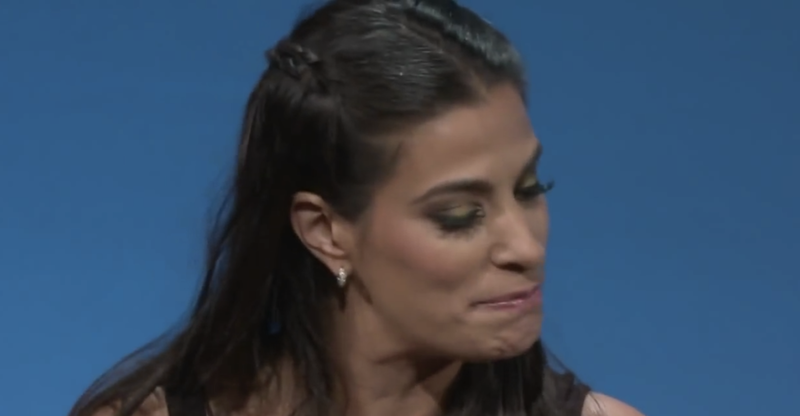 Maysoon Zayid is a disabled Arab-American comedian. I had no idea who she was when I first met her at a Washington gala. She was beautiful and stood with her hand on her hip thrust sexily to one side. When I complimented her on the pose, she said, "I'm not posing. I have cerebral palsy — I have to stand like this." My response? "I don't care! You still look hot!" We both laughed, then I went home to google her. Let me save you the trouble though, as nobody tells Maysoon's story better than she does in this taboo-tastic TED talk. If for some bizarre reason you're so busy that you don't want to be thoroughly entertained for the next 14 minutes, check out a 20-second guide to cerebral palsy at 0:54. At 6:24, marvel at the audacity of casting agents who still think it's OK for able-bodied actors to play disabled characters. One last piece of instant gratification is at 10:48, when Maysoon is heartbreakingly honest about online trolls.